Much of Roawia is ruled at a regional level by hereditary rulers from houses which have held the land for many generations. These noble families are responsible for maintaining law and order for their people, and provide the backbone of trained military strength for the factions’ armies. Each house is unique in culture and attitude towards their neighbors, rulers, and the other factions, differences that will play a major role in the tumultuous days ahead. Develop one of the noble houses of your faction through builds and story. This can be anything from the rulers of a large city to the lords of a small rural fief. Include as part of your entry details about the family, for example things about their history, lands, ruling style, personalities, sources of wealth, and the products their lands produce. Also include a bit about the family or current ruler’s political attitudes, such as whether they support the current faction rulers, what they think of Chartres, whether they are friendly, indifferent, or bellicose toward other factions, whether they are on good terms with their neighboring lords, or what their opinions are on current events. There are several types of build you may include in your entry, but each entry must consist of at least one build and backstory. Entries will be judged on interestingness and cohesiveness overall, so your builds and backstory should be consistent in details and style. - Minifigs: Build minifigures of the lord and/or lady, as well as any family, retainers, or guards you think interesting enough to include. These can be presented on a neutral backdrop or with a LEGO background, but either way the focus should be on the figs. - Manor House: Build a microscale version of the family’s ancestral seat and surroundings, whether a castle or a less fortified manor house. This should be large enough in the scale chosen to realistically house a noble family and servants. 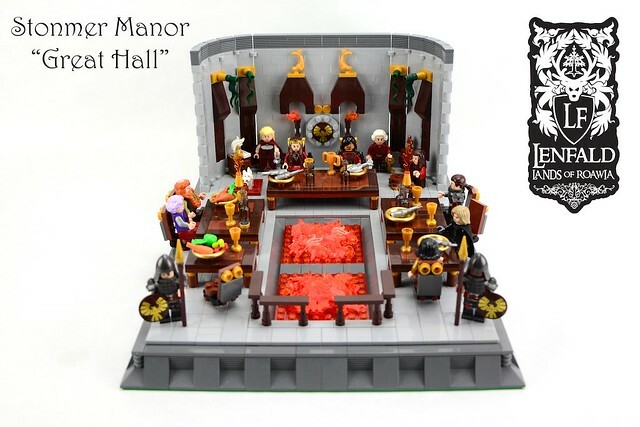 - Interior: Build an interior scene of the family’s great hall, or any other room/s you think particularly important. - No size limits on builds. - One build per category. - Using preexisting characters is permissible, but you should be adding new details about them and their family. - One entry per person. (One entry consists of 1, 2, or 3 builds and backstory). 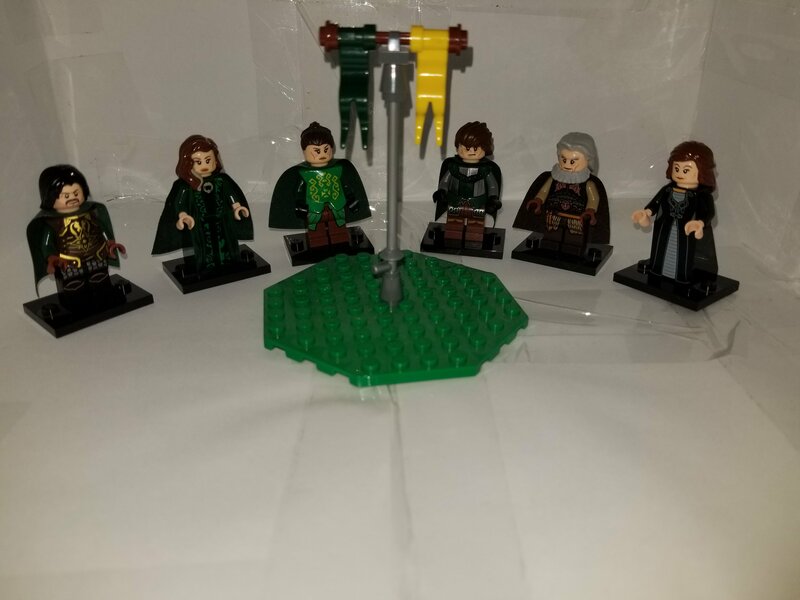 - The LoR banner or your faction banner must be included in your build either digitally or in LEGO (or both if you wish). - Entry posts may be modified up to the deadline. - Each build will receive 2 points, (for a total possible 6 points). - Faction winners will be determined by adding the total votes received for entries by each faction. The faction with the highest vote count will be awarded 10 points and the faction with the second highest vote count will be awarded 5 points. - Entries must be submitted in this thread before midnight (any timezone) EDIT: 26th November. Feel free to ask any general questions you have in this thread, or PM me with specific ones. The next story update is coming soon, but it'll be a bit before the next regular GC, so here's something to tide you over. It should be a fun way to flesh out a crucial and interesting part of our factions and possibly character backstories, as well as try out microscale. Outstanding entries may be featured on your faction front pages, or maybe even incorporated into the global storyline at some point. Neat, and though I may miss it due to travel, hope to see some cool builds! ... tired of all the fighting. Nice GC, good idea to focus on the homeland again. One question, just to clarify: one entry (= 1 post/reply in this thread) can consist of up to 3 builds, one per category, with no size limit for each build with one story for each build or one overarching story for all the builds? Yes, I think that's correct. One build per category. It doesn't matter how you arrange your descriptions/story, but all builds should be focused on the same noble family. Rules above edited for clarification. I'm finally finished with that basement remodel project (but now I have to renovate half of my duplex) so I'll try to get an entry in. So, I don't want to be that guy, because I think I already was once, buuuuuuuut could we have an extension? Haha. My parents have been in town for almost two weeks and just left yesterday. My dad had all of his stuff spread out in my Lego room, and of course I was busy "playing host". I would love an extension also, if possible. Could we extend through the Thanksgiving weekend? That would be a good opportunity for a lot of us to get some good stuff built, I think. Yeah, well, you're not the only one thinking it anyway. Either we're all a bunch of hopeless procrastinators, or I still haven't managed to figure out how much longer to make these deadlines to account for how busy we all are. I'll take it up with the KC, but I don't see that anyone is going to object with just one build in at this stage. Good idea, I'm not going to be able to get anything built myself until then. The deadline has been extended one week, to November 26th. This deadline will not be extended again, so get those entries in, folks. 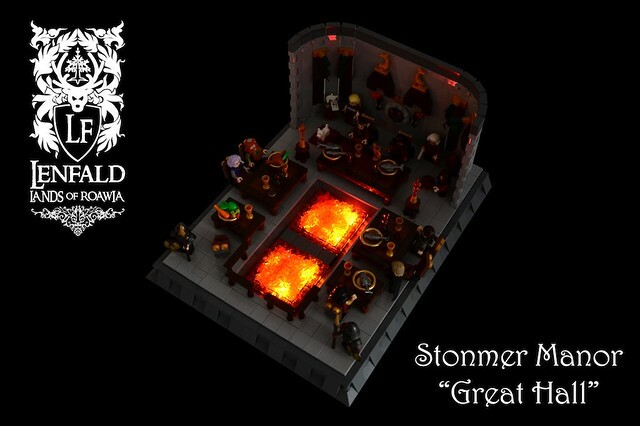 The current rulers of House Stonmer are Lord Iben Stonmer and Lady Tamira Val Stonmer. House Stonmer is one of the younger houses of Roawia. 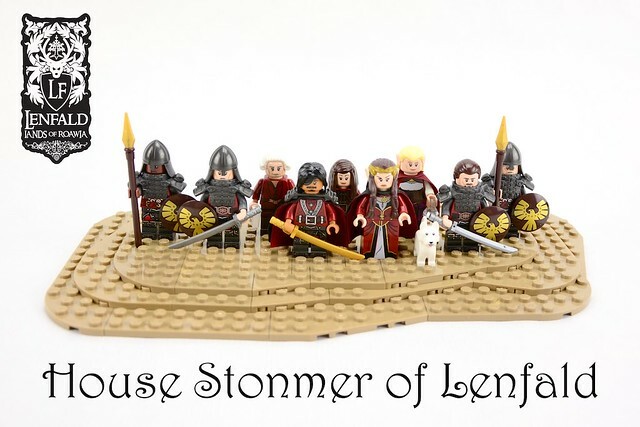 The Lords of Stonmer moved their estate from Loreos to Lenfald only a few generations ago. While their loyalty to Lenfald is not in question, they still keep with the traditions of their former home province: their house colours are read and gold their emblem is the Loreesi gilded falcon. Their current seat is at Stonmer Manor, in Northern Lenfald only a few miles from the border to Garheim. The Lords of Stonmer only rule over 4 villages and their small estate, but trade with Garheim made them relatively rich and important nonetheless: the regions is rich in fish and is mostly forested, with wood being their major export products. The Stonmer's were always skilful diplomats and are related to many of the larger houses of Lenfald through marriage. Their unique situation of having ties to their relatives in Loreos and Lenfald and having good relations with their trading partners in Garheim made them much sought-after envoys and mediators in the conflicts between the provinces.